Gifts of cash, check, credit card or through a Donor Advised Fund are the simplest form of giving. Checks should be made to “Notre Dame High School” and mailed to the Advancement Office at the address below. Online donations can be made securely and easily here. Thank you for giving to NDB through your DAF! Gifts of appreciated securities are welcome and include tax benefits. To ensure smooth transaction, please contact the Advancement Office with your name, broker name, name of stock, number of shares and fund designation, if applicable (annual fund, Gleason Fund etc.) DTC # 0226 F/B/O Notre Dame NFS Account # MGR-200818 or use the stock donation form. Many corporations will match an employee’s gift to a charitable institution like NDB, leveraging your donation and increasing its impact. Please check with your employer to learn about available matching gift opportunities and required forms. When you shop online at Amazon through this link (be sure to bookmark it!) - as much as 10% of your purchase could be donated back to NDB. 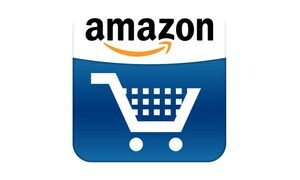 Shop on Amazon now for NDB! Thank you! NDB appreciates all types of donations in support of our mission, empowering young women. If you would like to donate a service or item, please use the form found to the right. Thank you! Donate your unwanted or inoperable car and a portion of the proceeds will be donated back to NDB. Please contact Vehicles for Charity for more information. All gifts to Notre Dame High School are tax deductible in accordance with current tax law.